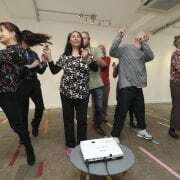 The Dublin Simon Community Dance Group are to hold two dance performances in the Lir Academy on 15th and 16th with a preview on 14th December. “Baile Bua (sounds like celebration)” is the title of our current production. 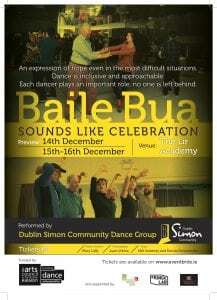 It explores the ideal “Baile” (Irish for ‘town’/ Spanish for ‘dance’) we all want to live and take part in. In this dance inclusion is the principal value; as well as compassion, understanding, togetherness and social justice. It is a celebration and a hurrah for victory. In Baile Bua we explore the different aspects of social and folk dances. The performers bring the enjoyment of dance to the stage with energetic pieces of music and humour. The dance delves into both the positives and negatives of life, making the performance an expression of hope even in the most difficult situations. Dance is inclusive in this new approach. Each dancer plays an important role; no one is left behind. Both shows start at 8pm and tickets cost €7 (plus transaction charge of 0.93 cent) each. Email juanurbina@dubsimon.ie if you have any questions about the event. 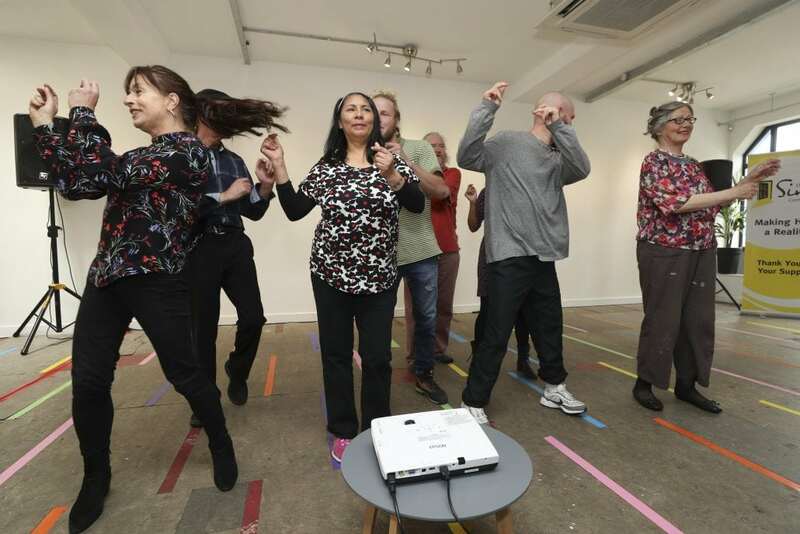 The Dublin Simon Community Dance Group is provided as part of Simon’s Participation and Development services. These services teach a range of life changing skills such as literacy, advocacy and education support as well as a robust arts program including art, dance, creative writing, photography, drama, nutrition and fitness to people who have experienced homelessness. The dance group recently featured on RTE 1 O’clock and 6:01 News and you can watch the full video here.